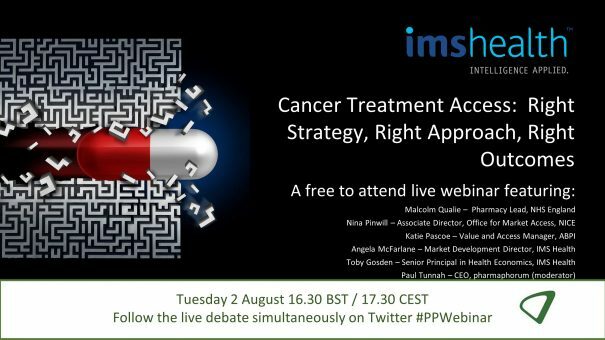 Our one-hour live debate on Cancer Treatment Access: Right Strategy, Right Approach, Right Outcomes is now available on demand. How can oncology treatments achieve a positive NICE appraisal in the new world and what will the mechanics of RWE be in the event of conditional funding via the reformed cancer drugs fund? Listen to exclusive insights from those in the real know – including Malcolm Qualie, Pharmacy Lead, NHS England and Nina Pinwill, Associate Director, Office of Market Access, NICE on the arrangements that will fundamentally change patient access in England to life-changing cancer medicines. This thought-provoking webinar originally took place at 16:30 (BST) / 17:30 CEST on Tuesday 2nd August. To view the on-demand recording, please click here or on the button above/below. Malcolm is the senior pharmacy advisor to NHS England Specialised Commissioning Service. He took up this role in April 2013 when the new commissioning arrangements came in to effect. Malcolm works within the Clinical Effectiveness Team and supports the specialised services clinical reference groups in reviewing the need for clinical commissioning policies. Malcolm is a member of the National Pharmaceutical Supply Group, the national HIV HRG reference group, the national steering group on high cost medicines, an advisor to the National IVIG Guidelines Group and several NICE committees. Nina is the Associate Director of the Office for Market Access, National Institute for Health and Care Excellence (NICE). OMA was launched at the NICE Conference in October 2015 and sits within the Centre for Health Technology Evaluation at NICE to provide a single point of contact for support and enquiries relating to NICE health technology evaluation activities. Nina has also been a Senior Policy Lead on the Accelerated Access Review, announced by the Parliamentary Under Secretary of State for Life Sciences in November 2014. She led the workstream to develop recommendations for delivery of an ongoing supportive relationship between innovators, the NHS and patients that incentivises and highlights the value to innovators of the UK as the place to come to develop, trial, regulate and market their products, consequently speeding up patient access to them. 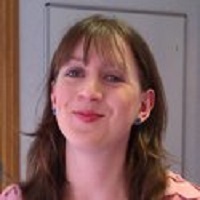 Katie has worked in health economics and outcomes research within the pharmaceutical industry for over 10 years. After completing a Master’s degree and PhD in pharmacology in New Zealand, Katie worked in the outcomes research teams at IMS Health and Janssen-Cilag Ltd (UK head office) and then joined GSK’s Global Value Evidence and Outcomes team. Her current role at the ABPI, focuses on UK health technology appraisal processes, real world evidence generation and shaping industry positions on key consultations, such as the CDF, and other health policies both in the UK and the EU. Prior to its acquisition by IMS Health in October 2013, Angela McFarlane was the founding Director of HGS Europe, a company which pioneered the UK Market Access environment for over 15 years. The acquisition of HGS by IMS Health allows us to build on our reputation for payor-centric Market Access solutions informed by a unique and extensive network of over 1000 NHS Associates who work with us, enabling the programmes we deliver to be truly valued by payor audiences. The synergy between IMS Health Real World Evidence, data and our market access solutions are benefitting both existing and new clients, particularly in the growing rare disease and speciality medicine markets. Prior to founding HGS, Angela was Marketing Director for 4 years of a specialist Provider hospital, Surgicare. Angela led Surgicare’s shift from a private patient base to a predominantly NHS case-mix by guaranteeing improved outcomes in low acuity surgery (cataracts, varicose veins, hernias) to the patients of fund-holding GPs and Health Authorities across the North West and West Midlands. Angela came into healthcare as a Graduate, working in the pharmaceutical industry for nine years at Merck Sharp and Dohme and Bristol Myers Squibb, where she held a number of sales and marketing management positions between 1982 and 1991. During that period she launched two ACEIs and a statin. Angela speaks on the international Market Access circuit and has published a number of thought-leader papers on the challenges of UK Market Access. Toby has 20 years experience as a health economist, working in both the academic and pharmaceutical sectors. Toby has a PhD in Health Economics from the University of Manchester and an MSc in Health Economics from the University of York. He has worked the last 6 years as a health economist within Pfizer in the UK affiliate and then latterly as Outcomes and Evidence Director in the Global Health & Value team. He has extensive experience of leading submissions to UK HTA bodies and in the economic evaluation of medicines and other technologies across multiple therapy areas including oncology, mental health, cardiovascular & metabolics and respiratory. He has also led real world data studies across a number of European databases and developed systematic reviews for the Cochrane Collaboration. Toby is currently working as a senior health economist supporting the Health Economics team with the Real World Evidence Solutions department based in London, UK.